Among other types of cancer, breast cancer that has the highest number of patients. Many minded, breast cancer only affects women only. Yet in reality, men are also at risk of breast cancer. Only, we as women, are much more at risk of suffering from breast cancer. So, what kind of women at risk for breast cancer? And, what factors trigger breast cancer? Approximately 60% of breast cancers occur in the age above 60 years. The greatest risk was found in women aged over 75 years. It has been found that the gene variant appears to play a role in the occurrence of breast cancer, the BRCA1 and BRCA2. If a woman has one of these genes, the likelihood of breast cancer is very large. Other genes are also thought to play a role in the occurrence of breast cancer is p53, BARD1, BRCA3 and Noey2. While the high hormone levels during a woman's reproductive years, especially if it is not interrupted by hormonal changes due to pregnancy, seems to increase the chances of growth of cells that have undergone genetic damage and cause cancer. Women who have had cancer in situ or invasive cancer had the highest risk for breast cancer. Once the affected breast removed, then the risk of breast cancer in a healthy increase of 0.5-1% / year. Ever had a non-cancerous breast disease. The risk of breast cancer is somewhat higher in women who have had non-cancerous breast disease that causes the increase of the ducts and breast tissue structure abnormalities (atypical hyperplasia). 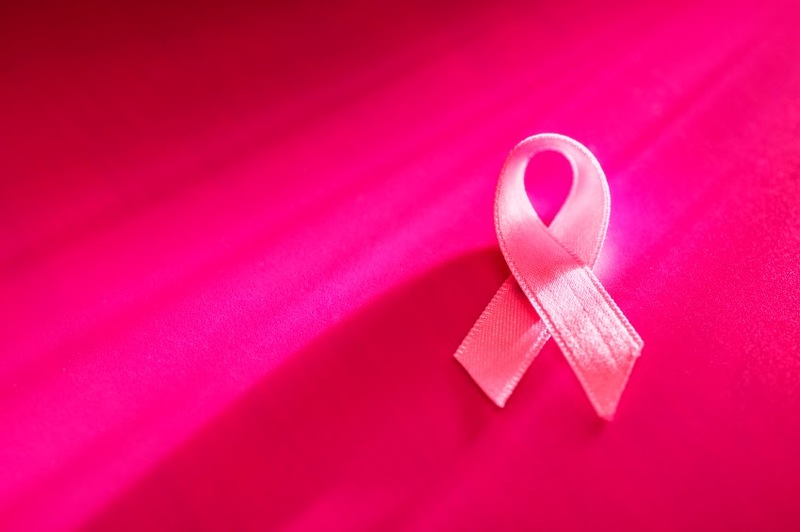 Family history of breast cancer. Women are mothers, sisters or children suffering from cancer, had a 3 times greater risk for breast cancer. The use of birth control pills or estrogen replacement therapy. Birth control pills may slightly increase the risk of breast cancer, which depends on age, duration of usage and other factors. Not yet known how long the effects of the pill will still be there after pill use is stopped. Estrogen replacement therapy who lived for more than 5 years also seems to slightly increase the risk of breast cancer and the risk increases if longer use. Obesity as a risk factor for breast cancer is still debated. Some studies suggest obesity as a risk factor for breast cancer, possibly due to high levels of estrogen in women who are obese. The use of alcohol more than 1-2 cups / day can increase the risk of breast cancer. Several studies have cited the exposure of chemicals that mimic estrogen (which is contained in pesticides and other industrial products) may increase the risk of breast cancer. Women who took DES to prevent miscarriage have a higher risk of breast cancer. Exposure to radiation (especially radiation to the chest), in childhood can increase the risk of breast cancer. Some studies indicate that uterine cancer, ovarian, and colon cancer as well as the presence of a family history of cancer can increase the risk of breast cancer. Moreover, current lifestyle also almost instantaneous effect on breast cancer. So Ladies, there is no harm if we frequently conduct examination and early detection of breast cancer related. For us to be vigilant against this dangerous disease. May this article useful.